A lot has already been discussed about the Hexa, and the review itself is so detailed that only the price remains to be seen now. And that is going to decide the fate of this otherwise brilliant package. They have some breathing space though - with Tucson, Crysta all going up higher than ever. 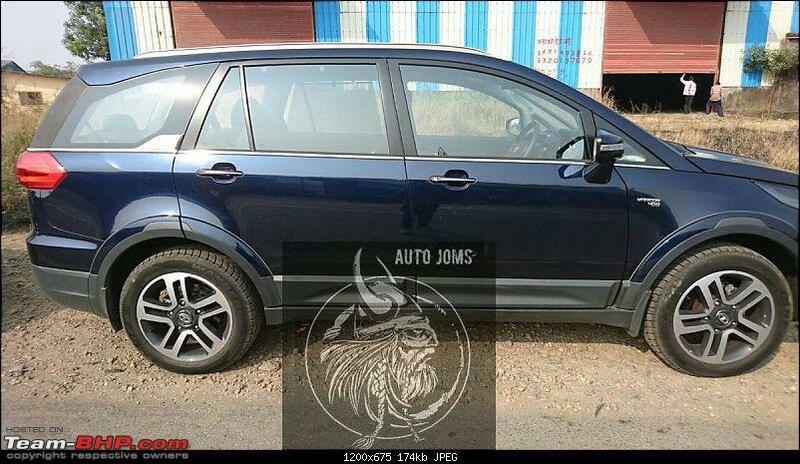 BUT, they need to undercut the XUV 5OO by a good margin, atleast initially, to make any sort of impact with the sales. I seriously doubt they can undercut XUV, if they do then its a steal. XUV still has better proportions and at least 50% of the people might think Hexa a people mover than an SUV. I also hope for a price cut on XUV to keep the competition heated up. Excellent review. Period. This is called Team-BHP standard. Every time some of my colleagues or friends ask me for car buying advise, I just ask them to consult Team-BHP. Coming to Hexa, it's a brilliant car. Tata has really put all the efforts to make it a market scorcher. Give an AWD option with the XM variant, and you will have a even more strong competitior in your hands. The 16 inches wheels on XMA will be a lot easier to maintain and there will be plenty of AT tyre options also. 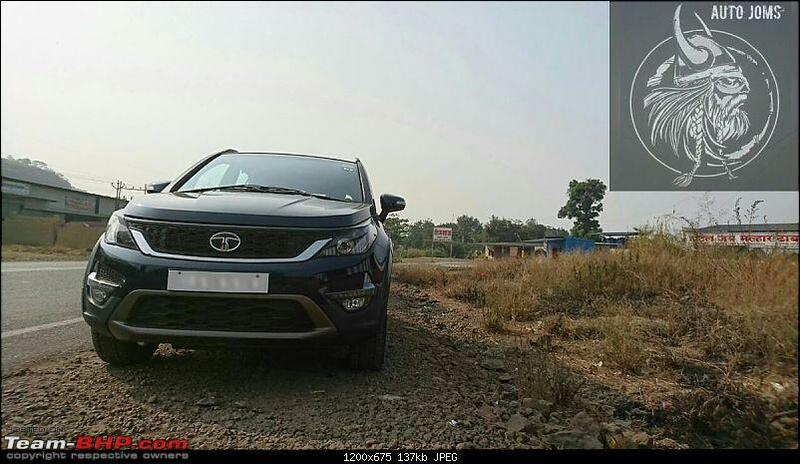 As far as comparison with XUV goes, it seems that Hexa is surely not a scorcher as the XUV is. But my personal problem with XUV is that I don't like the concept of FWD on a big SUV like XUV. Once again kudos again to the team for such a wonderful review. 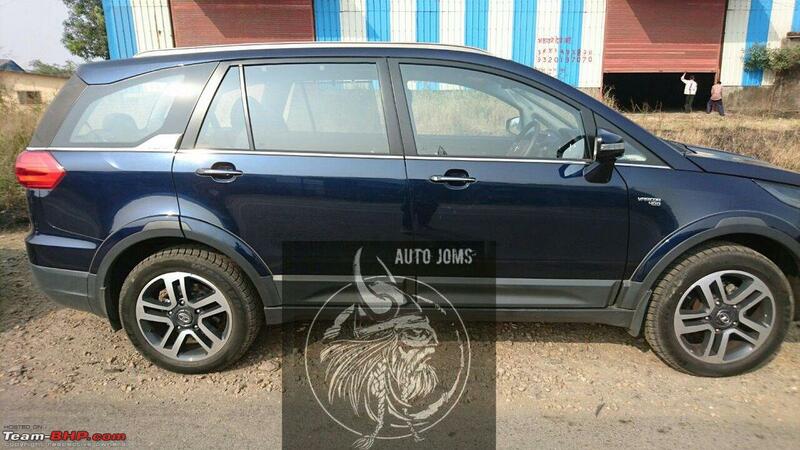 The Hexa XT 4x4 has been spotted on the old Mumbai-Pune highway beside a storage warehouse a few days back by Twitter user Auto JOMS. Interestingly, this particular car has blank number-plates. Last edited by RavenAvi : 22nd November 2016 at 19:48. I feel that the dash is too busy. Also, why does the seat covers (especially on the back of seat) look like they have not been done well ? Even local seat cover makers do it in a clean way. The stitch lines, folds at the curves look very amateurish. Same thing with carpeting too. The exterior however looks well put together. While HEXA is really a big step from ARIA, it still has some features missing compared to XUV500. These are must have things on such an expensive vehicle. In fact none of the TATA vehicles have passive keyless entry till date. Why is Sunroof missing in this one TATA? when you can give one as an accessory on Nano! Fantastic review! Looking forward seeing the Hexa on the road. I am an intern in the shop where the Hexa is manufactured. The whole team, designers, suppliers, supply chain and production people have worked very hard in making this vehicle and seeing it bear a sweet fruit makes me happy. I am glad the response is positive everywhere. An excellent review of an excellent Car! This is probably the most well rounded product in tata's portfolio. On the pricing part, I suspect, it will be priced slightly above the XUV and not below it, because the Safari Storme is occupying that place. A special word of thanks as well as congrats to Aditya and Vid6639 for such a fantastic review. I read it twice and thrice the engine and transmission part. Well, it felt like driving the car myself, I guess all my questions are answered. I wish Hexa also fly out of shelf with the speed at which this thread is charging ahead. What remains to be seen now, is the price; it will only be the final deciding factor if this Tata will fell or fly. Period. BTW is it only me or anyone else also found those brake discs looking puny inside those massive 19 inch alloy wheels? I personally like the bigger discs with BIG calipers; they add a lot to the presence, especially in case of such massive rims with enough space t look through. Another disappointment, as per the review is brakes. The paddle feel seems to be a turn off I guess. I was expecting an exceptional ride quality and braking performance, with well acceptable pedal feel too; after having experienced the Tiago extensively. Last edited by VKumar : 22nd November 2016 at 21:51. Nice detailed typical team-bhp review. Hexa is a competent product from Tata. I am observing Tata has learnt from Mahindra on how to aggressively launch a new product by pricing it aggressively with their Tiago launch and after tasting success how to creep up the price. 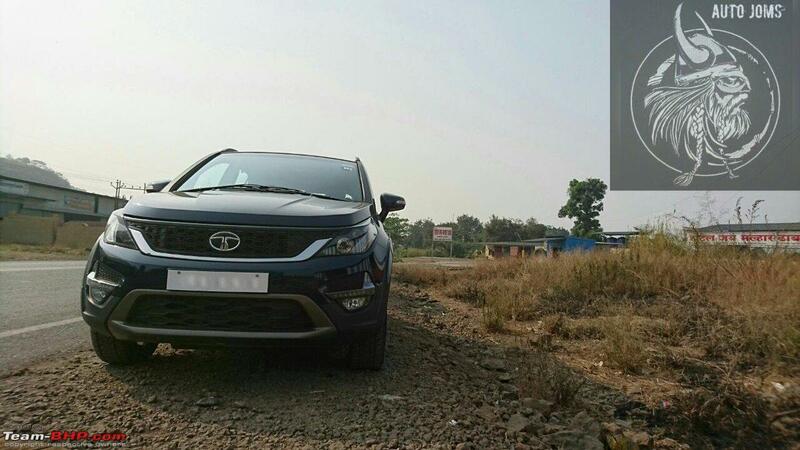 In August and November Tata has hiked Tiago prices silently twice leaving only the base non-a/C variant un-touched. So I expect a real deal making pricing strategy on Hexa too from Tata. Last edited by harimakesh : 22nd November 2016 at 21:45. Wow! That is a cracker of a review. This vehicle I am really looking forward to ever since I sat in it during the Auto Expo. I was really impressed and it seems like a potential replacement for our Ertiga. Just hoping and fingers crossed for the pricing! Mod Note : There are several spelling & grammatical errors in your posts. This negatively affects the forum experience for other readers. Kindly ensure that you proof-read your posts prior to submission. Also, it would be a good idea to use a spell-checker. Last edited by GTO : 23rd November 2016 at 10:57. Aditya & Vidyut - Just W-O-W, almost speechless after reading your wonderful, out of the world review . Awesome review guys, one of the best ever Official reviews on Team-BHP, wish there was the option of rating this 10 stars for the perfect 10 review. 1. Plastic black bezel on front bumper - is that a provision for another fog lamp ? Maybe as an optional accessory ? 2. Wondering why the side step isn't standard on all variants and instead offered as an optional accessory ? Does it's presence improve ingress & egress OR is it's absence felt (asking since the GC is 200mm!) ? 3. The 4 parking sensors - I think 2 of them are placed higher on the left & right edges of the bumper (body colored) and the other 2 on the left & right edges of the Grey strip (Grey colored), but what is the larger circle on that Grey strip ? Was that a provision for reverse camera which they later decided to not use and instead mount the camera below the registration plate on the tail gate (since that housing seems like an after-thought) ? 4. Felt that the wing ORVMs are a tad smaller, especially at the far end (seems slightly bigger than the old tear-shaped ORVMs on the Indica). Hope they will suffice for a car of this size and height. 5. Puny Tail pipe - great catch! Unless the shape is matched with that of the Chrome exhaust tip, it will look odd. They got the shape right with the rectangular rounded edges, but messed up horribly with the size and size does matter in this case! 6. Air-con vent orientation (slats) - in front also the side vents could have been oriented horizontally just like they are on the middle and 3rd rows! 7. The warning triangle could have gone behind the 3rd row seat. It’d be easier to access as well from the luggage area by opening the tail-gate. OR even below the carpet where tools are placed, seems like that was a last minute addition/after-thought. 8. The captain seat and bench versions of the middle seat have an impact on the third row usage, either one is not a clear winner in that department. Tata needs to learn a lesson or two from Honda on it's Magic Seats. With so much use of global vendors, they could have had a better solution for the seats tumbling & folding, or is it just poor placement ? 9. And that big transmission hump running in the middle, the middle passenger is not going to feel comfortable with his legs on either side of it! Great review - very detailed. 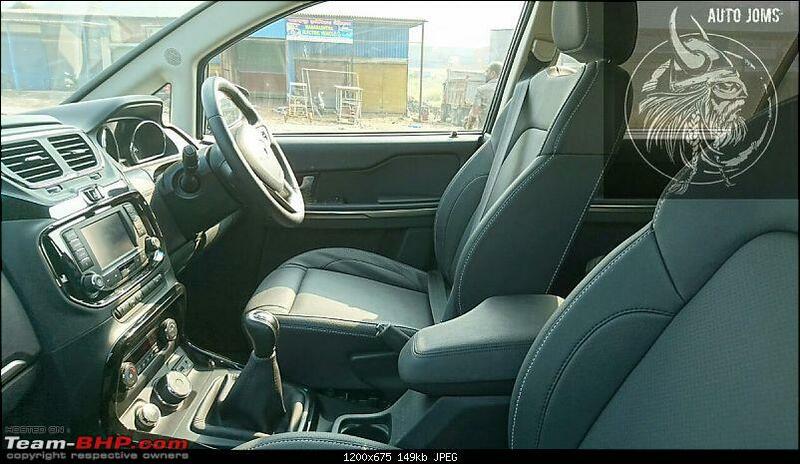 In fact I noticed this review really reached new heights in terms of highlighting some of of the good details ( like the materials used in the door pads, dash board, seat fabric etc ) and a lot of the misses ( keyless entry, button start, gaps near the wiper stalks etc ) from Tata in the Hexa. Overall looks like a good effort from Tata to recycle the existing platform. Priced on par with the XUV, this should do well - given that there are pluses and minuses on both sides. Tata just needs to be mindful of the discounts the XUV might be carrying before just pricing it on par with the list price of the XUV. The chrome on the rear tailgate is definetly gawdy but looks ok in the light grey shade that was reviewed. Its going to look terrible in the darker colours like the blue and the black. The exhaust pipe being puny Vs the chrome tip - this is the case in the Storme as well but never noticed this to be an issue because the tail pipe chrome portion is well integrated with the bumper. So unless you want to poke your face close to the exhaust area and look at the difference, it really doesn't matter. Reg the transmission tunnel - I wonder how it was in the ARIA ? The Storme has a flat floor - thanks in large measure to the high floor at the outset. But this is par for the course given that other segment vehicles sport similar humps. Some of the European sedans sport a higher hump despite being monocoque FWD vehicles. After having owned 3 Tata cars now and observing them closely, I wonder why all Tata cars have that " undertyred" look despite having pretty much the widest contact patch for that segment ? Somehow I feel Tata needs to either look at the depth of wheel wells it designs for its cars or look to increase the length of the axles. The same thing can be noticed in the Indica family, Vista/Bolt family, Zest, Storme. To the reviewers: Was there any mention of the "TUFF" EDITION launch ? or is it merely a add on kit that can be ordered with any variant ? That's a very well written review of what looks like a great product (if we leave usual tata reliability and niggles out of the equation). I was eyeing a seven seater in this side of 20 lacs as a replacement for my Duster 2wd (we have an AWD too) as the family has grown and requires more seats, however nothing won my heart as I was kind of spoiled by the cars ride-handling behavior (AWD took the ride quality to a whole new level). Now, this comes close. If Hexa seriously undercuts the Innova in pricing department, I would definitely consider it. There are no real deal breakers in the car- overall quality levels looks top notch, the car looks good, engine is a proven workhorse. Eagerly waiting for the test drive vehicles to come to the dealerships. @Vid6639 & @Aditya - Is the ride quality Duster 2wd good or AWD good ? Wow, this is a very detailed review and HEXA does look like a compelling buy. I had a question on the Air bags design. Is this a standard practice in these type of SUVs to provide the AirBag protection to 1st and 2nd row assuming they support 6 Air bag design? I don't know about Crysta but Ford endeavor seems to cover all rows but with 8 Air bags. Hopefully this car does'nt have "buggy" parts and dos well in the market.